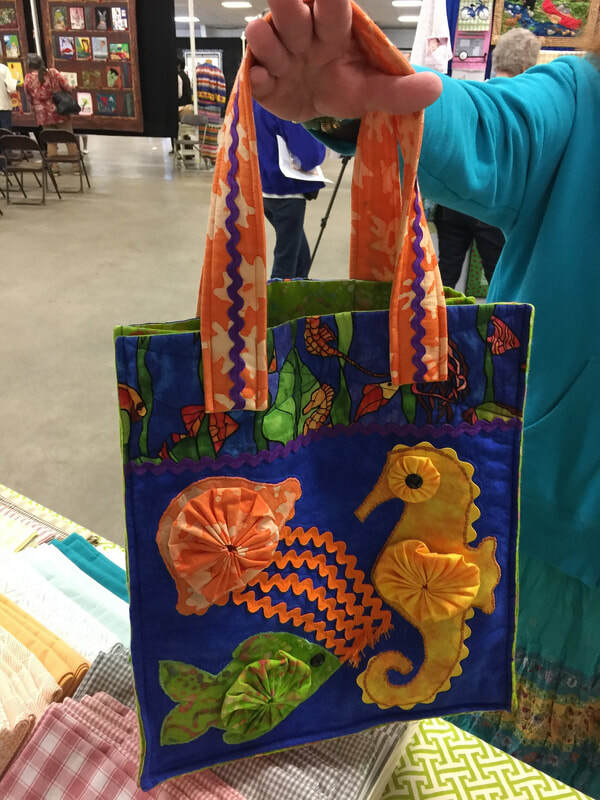 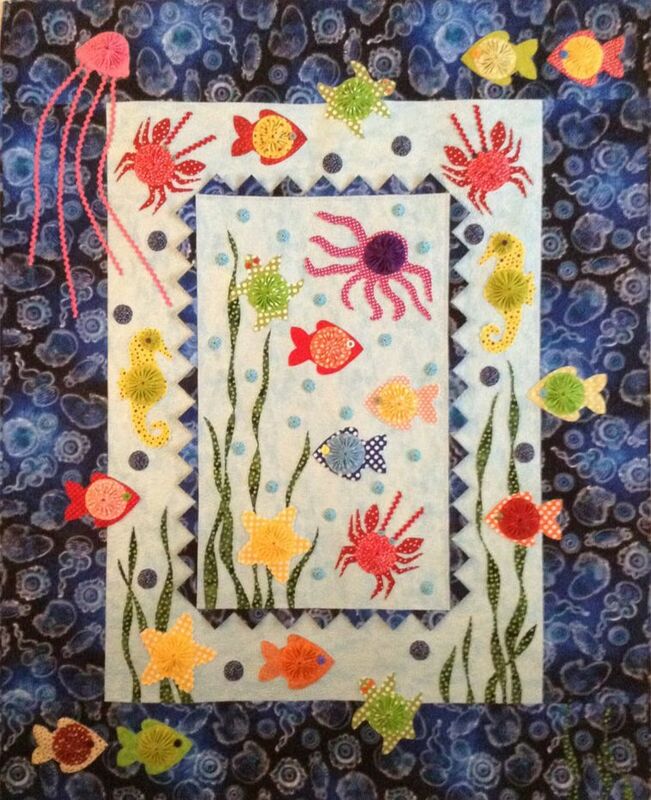 In 2016 Pam Ventgen taught an Ocean Frolic class at the her local quilt shop, The Quilt Tree, in Anchorage, Alaska. 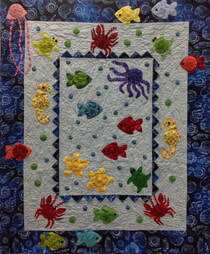 She made a class sample with a beautiful dark ocean border. 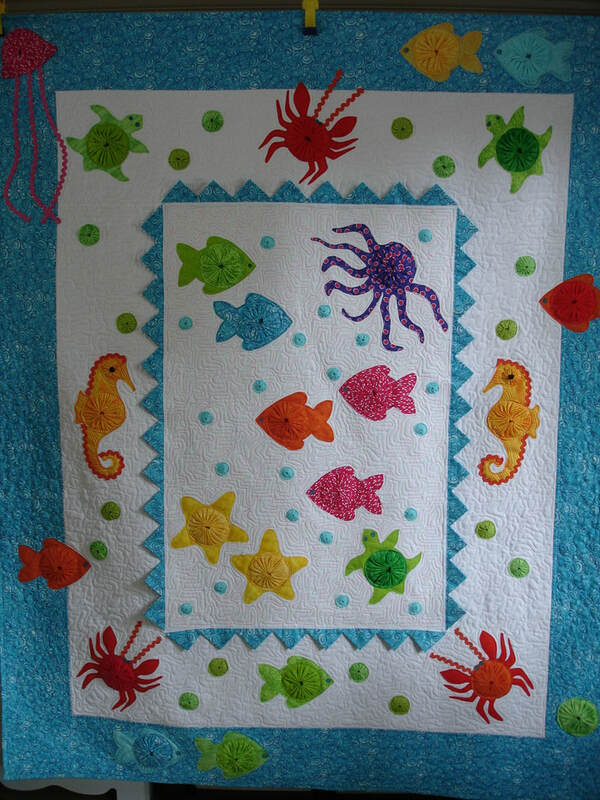 One of her students, Bonny Rivera, added her own special touches to her quilt by using all polka dot fabric for the creatures and adding wavy seaweed appliques to the background. 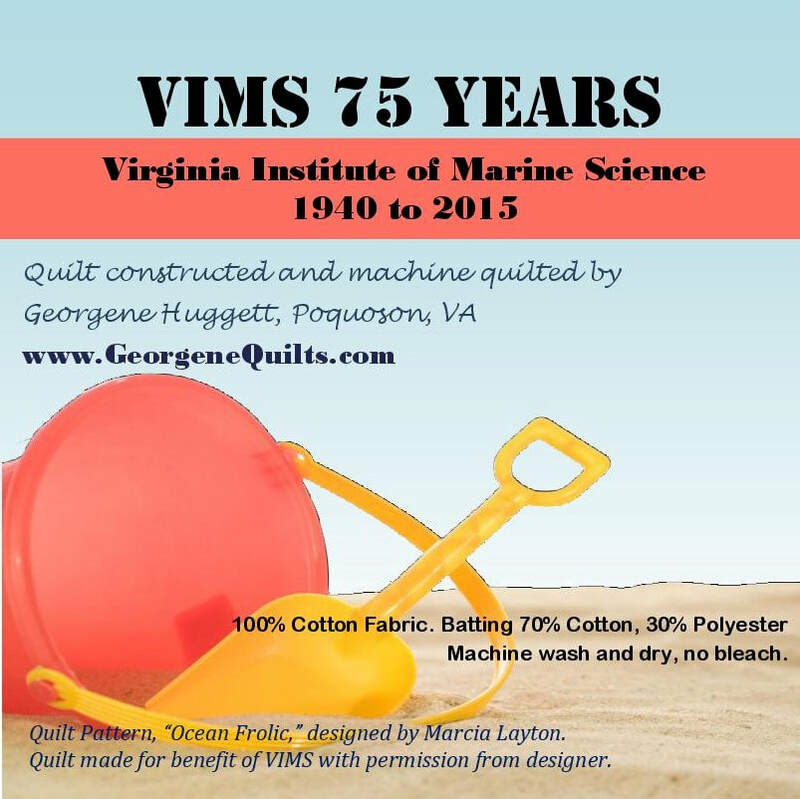 ​Georgene Huggett of Poquoson, VA, made and donated her Ocean Frolic quilt to The Virginia Institute of Marine Sciences (VIMS) where it was to be on permanent display on the occasion of VIMS’ 75th Anniversry (2015). 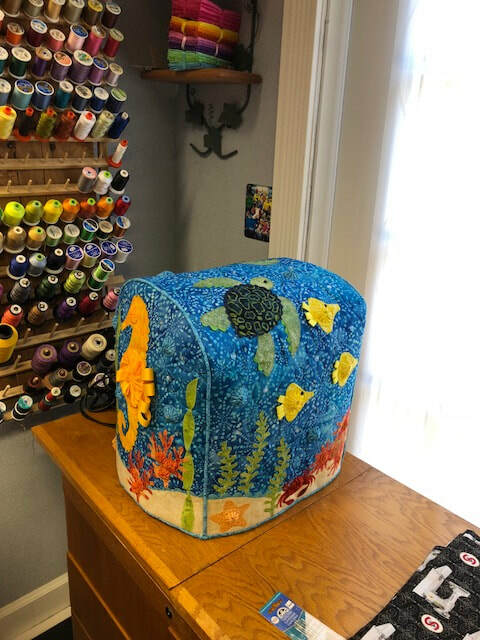 VIMS is an extension of William and Mary College, Williamsgburg, VA. Georgene quilted it on her APQS Longarm quilting machine. She even did the applique on her longarm.